CookOut is a locally owned Triangle-area chain that specializes in affordable fast-food that is made with premium ingredients. Cook Out prides itself on its premium milkshakes, sweet jumbo onion rings and 100 percent white meat chicken nuggets and sandwiches, as well as its handmade hamburgers. Here's a list of all Cook Out's menu offerings. Most Cook Out locations are open late, until 3:30 a.m. Sunday through Thursday and 4:30 a.m. on Friday and Saturday. Cook Out accepts Visa and Master Card as well as cash. 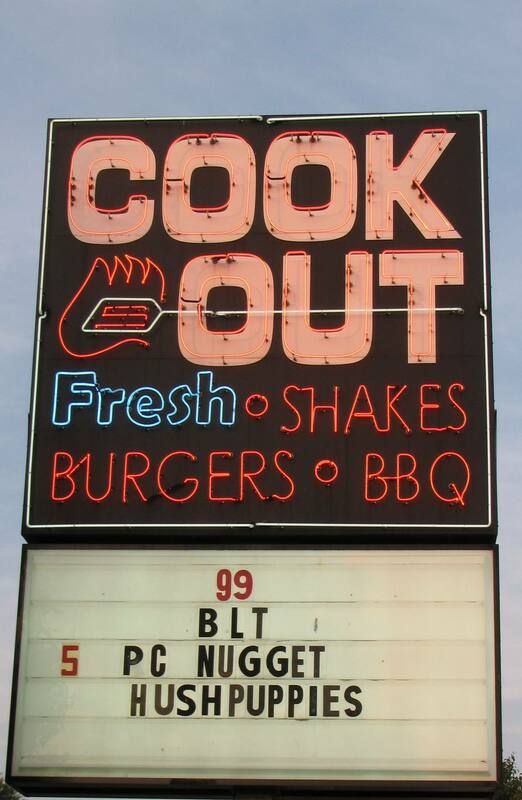 The Cook Out tray called the best combo in Raleigh, consists of one main selection, two sides and a beverage. If you've got a taste for all-American favorites like burgers, hot dogs, fries, onion rings, hushpuppies, and shakes, this is the place. And it won't make much of a dent in your wallet as a side bonus. Choice of mayo, mustard, ketchup, pickle, onion, and lettuce. Grilled onions or Cajun seasoning on request. Comes in small, regular, huge and big double sizes.